Lenovo K8 Note Dual Sim provides a DSLR like experience with its camera. 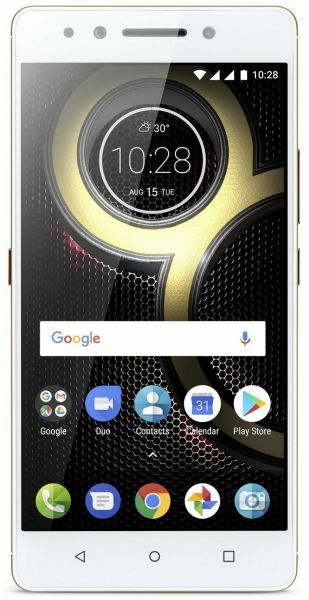 Lenovo K8 Note comes in a modern metal body.The Lenovo K8 Note Dual Sim has a symmetrical premium metal body, designed with ergonomic curves. The Lenovo K8 Note has a lightweight 181g body which is also splash resistant. The modern design comes in a Fine Gold color which makes it look elegant and classy. The device houses massive power with the 2.3GHz Helio X23 10 Core processor along with the Mali- T880 MP4 GPU. Providing a lighter experience is the Android v7.1.1 Nougat interface. You can switch between its two 4G LTE enabled nanoSIM slots, which also have a dual-standby function. Charging the 4000mAh battery only takes a couple of minutes with the 15W charger.